Fulham - Fulham's Birthday week! 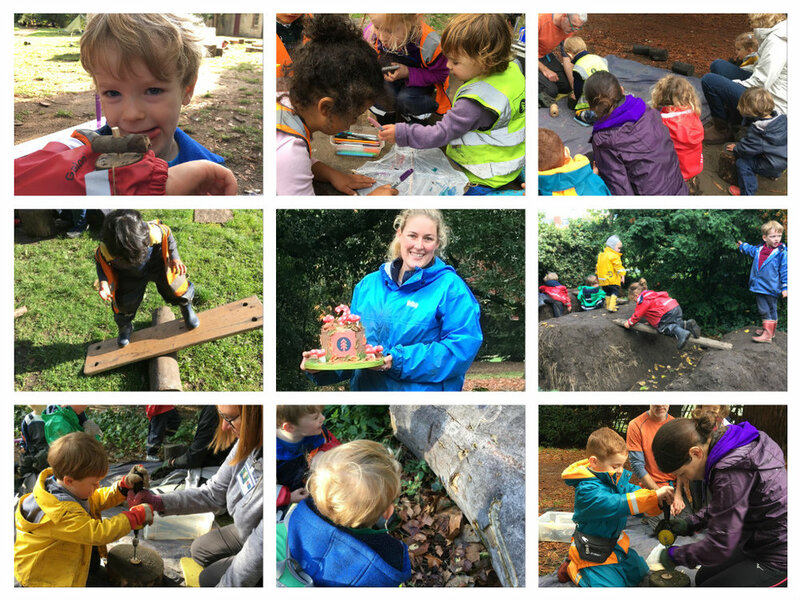 There has been such excitement throughout the forest this week with the arrival of mums, dads, grandparents, brothers and sisters, all of whom have been joining us for lots of autumnal fun during our Stay and Play week. It is always such a delight to observe how enjoyable this experience is for both the children and their families. 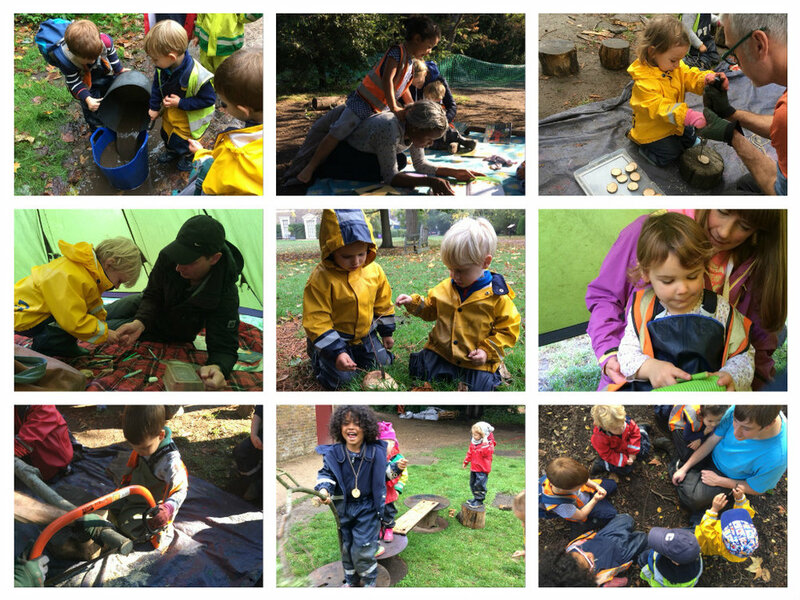 Our Little Forest Folk-ers show such confidence and pride in sharing their experiences and discoveries and display such ownership of their environment. A huge thanks to you all for finding the time to spend the day together with us and apologies for encouraging your children to get you as muddy as possible! Lots of the children have been very interested in using tools in the forest. Our Stay and Play week seemed like a great opportunity for the children to show off their knowledge, skills and creativity. Throughout this week our Little Forest Folk-ers have been using the bowsaw, mallets, pinion drills and billhooks to produce lots of exciting things. They have created a whole array of props for their role playing, gifts for their parents and component parts to create necklaces as well as watches with moving parts! We had requests from some of the children to show their parents how to use the pinion drills, so under close supervision the children talked their parents through the whole process, carefully instructing them until they had completed their drilling successfully. Some of the children did comment that some of their parents do need more practice! There was also a special event in the forest this week, it was our second anniversary of opening Little Forest Folk Fulham and to celebrate this Leanna and James presented the nursery with the most amazing cake and treats for the children. The children were really happy to know that the forest didn’t miss out on its birthday and having noticed the big number 2 on the cake discussed who was the same age and who was even older! It has been an absolutely amazing week and we are all looking forward to our next Stay and Play week in March.